Steve and others are always helpful. They can fix my problems in a short period of time and will give me an estimate before the work is done. I've been coming here for over twenty years. Salesman was very honest and followed through with everything. First time For me there were no surprises and everything was done as promised. Thanks for the great customer service. Not a high pressure dealership. Very knowledgeable about vehicle's. Smooth transaction from beginning to end. Up front on prices of all vehicle's they have. New or used. 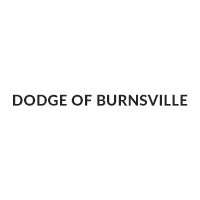 Dodge of Burnsville rocks! Awesome sales and service! Best deals on new vehicles and great on trade in values! Great service and a great product. Just bought a 2019 Ram Laramie and couldn’t be happier. Tab Shah, my salesperson, was very knowledgeable and helpful throughout the process. Came in for an oil change, I was checked right away and the job was done quicker than I expected. I can't say enough good things about this dealership and their employees. My wife was on a trip when her wheel bearing went out. I called and talked to Jerry in the service department. He said they were booked up for a couple days but would try to fit us in and offered a shuttle to get my wife back to the hotel while she waited for a rental vehicle to become available. The service department not only fixed the wheel bearing, but took care of all the outstanding recalls on the vehicle and had her safely back on the road within hours. It's a comfort to know that the employees at this dealership were willing to go above and beyond for a customer that might never return to them. Good people and awesome service!